I'm the Fujitsu Chair Professor in the EECS Department at MIT and lead the Networks and Mobile Systems group at CSAIL. I'm also a Director of the MIT Center for Wireless Networks and Mobile Computing. My research is in the area of networked computer systems, with current interests in networking, data management, and sensing for a world of truly mobile devices connected to cloud services running in datacenters. My past work has contributed to mobile and sensor computing, wireless networks, Internet architecture (congestion control, routing, network security), overlay and P2P networks, and data management (stream processing and secure databases). Short bio. My papers and group's software. My older (pre-1999) older papers and software. Mahimahi, a tool for browser developers, website authors, and network protocol designers that provides accurate measurements when recording and replaying HTTP content over emulated network conditions. In Spring 2016, Sam Madden and I are teaching a new hands-on course on Mobile and Sensor Computing (6.S062). 6.02 (Intro to EECS-II: Digital Communication Systems). Taken by all Course VI undergrads. Fall 15, Fall 12, Spring 12, Fall 11, Fall 10, Spring 10, Fall 09, Spring 09, Spring 08, Fall 07, Spring 07. 6.033 (Computer Systems Engineering). Taken by most (all?) CS undergrads. Spring 15, Spring 05, Spring 04, Spring 02, Spring 00, Spring 99 (recitations). 6.829 (Computer Networks). Graduate course. Spring 13, Spring 08, Fall 05, 03, 02, 01, 00, 99, 98. Cloud computing seminar (6.897) (Spring 11). I also worked closely with Raluca Popa (SM advisor and collaborator on her PhD projects, now at UC Berkeley), Godfrey Tan (Intel Frontiier), Sachin Katti (Stanford), Ryan Newton (Indiana), Ben Vandiver (Vertica), Asfandyar Qureshi (Google), Jayashree Subramanian (Bell Labs), Sejoon Lim (Oracle), Evan Jones. Past post-docs: Jakob Eriksson (Aug 2006-July 2008), Lewis Girod (Feb 2006-Jan 2008), Ramki Gummadi (2007-2009), Can Emre Koksal (2002-2004), Calvin Newport (2009-11) | Evdokia Nikolova (2009-11) | Geoffrey Werner-Challen (2010-11) | Rohan Murty (2011-12). I also worked closely with Carlo Curino. Co-founder and CTO of Cambridge Mobile Telematics (CMT). A spin-off from the CarTel project, CMT develops innovative mobile sensing technology and data analytics to improve driving behavior and make roads safer around the world. Its products are used daily by drivers worldwide in popular smartphone applications. In 2013, CMT launched the DriveWell mobile app, providing an accurate, scalable, and customizable telematics solution for automobile insurance providers and their customers. DriveWell not only measures driving behavior, but also helps users become better drivers. It provides a scalable technology for traditional usage-based insurance, but also allows insurers to think in terms of behavior-based models. 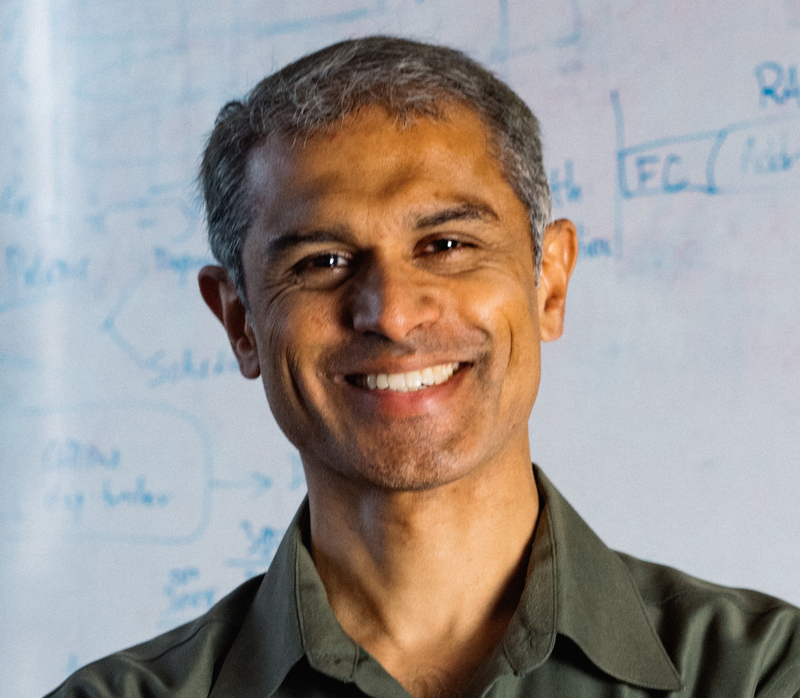 Advisor, Meraki Networks (acquired by Cisco), 2006-2012. Meraki started by commercializing wireless mesh networking based on MIT's Roofnet project. It then pioneered cloud-based remote network management of deployed wireless access points in its products. Co-founder, StreamBase Systems (acquired by TIBCO), 2003-2008. StreamBase commercialized the Aurora and Medusa stream processing systems based on research conducted at MIT, Brown, and Brandeis. It developed a leading product for processing massive amounts of streaming data, with success particularly in the financial services. Consultant and algorithm architect for Sandburst (acquired by Broadcom), 2000-2003. Developed algorithms (and patents) for rate guarantees and overload protection, switch scheduling, and packet classification. Education: PhD (UC Berkeley), 1998; BTech (IIT Madras), 1993; High school (KVIIT, Madras), 1989. My sister, Hamsa Balakrishnan, is an Assistant Professor at MIT working on improving the airspace system. She finished her PhD at Stanford in 2006 and was at NASA before coming to MIT in 2007. My mother and father are both theoretical physicists. My father, V. Balakrishnan, has a series of great lectures on classical physics and quantum mechanics on YouTube, which are quite popular.